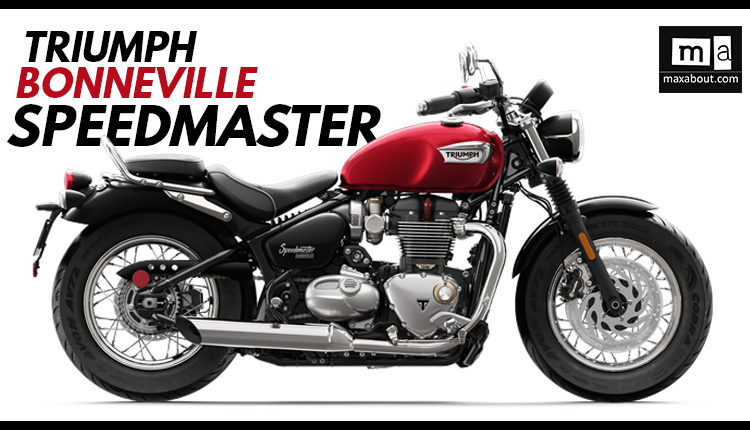 Triumph Bonneville Speedmaster has officially launched in India for INR 11.11 Lakh (Ex-showroom). 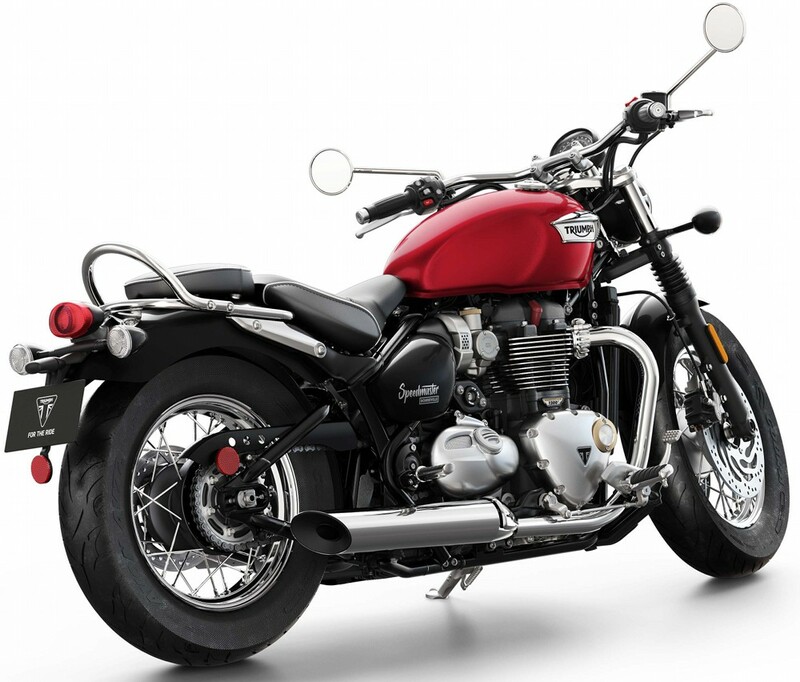 Depicting a modern British cruiser, Speedmaster is based on Bonneville Bobber and targets all new audience that was not amazed with that typical single seater. Apart from the change in seat and rear half, one can spot loads of smaller changes all over its body. More than that, buyers will get an option for a pillion backrest, that too removable for certain single riding occasions. When fitted with the backrest, Speedmaster gets an extra load carrier for ease on extra long ride. This extended rear fender looks exclusive on the all-new Speedmaster. Powered by the same 1200cc, twin cylinder high output engine as Bonneville Bobber, Triumph Speedmaster is good for 76 BHP at 6100 rpm and 106 Nm at 4000 rpm. The engine comes mated to a 6-speed gearbox. Front headlight is LED powered while suspension duties are offered by 41mm KYB front suspension and monoshock for the rear. Front braking is handled by twin 310mm disc brakes with Brembo calipers while rear comes with 255mm single disc with Nissin calipers, both equipped with switchable ABS. Through ride by wire throttle system, Speedmaster achieves Rain as well as Road riding mode for the rider. 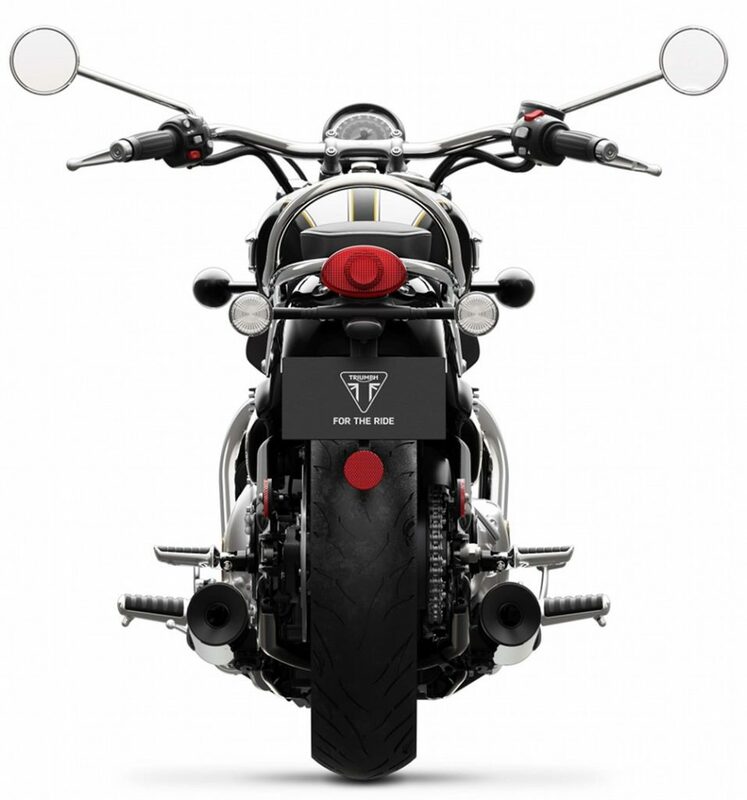 Triumph offers cruise control and traction control as standard on the motorcycle. It will be offered in Jet Black, Cranberry Red and dual tone Fusion White/Phantom Black shade. 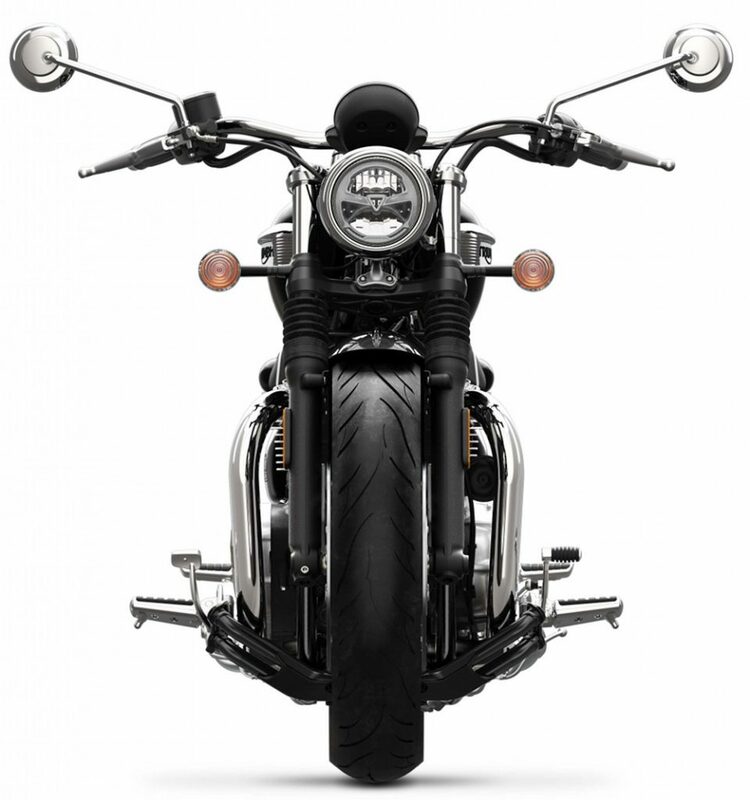 Speedmaster comes with huge 130/90-16 rubber for the front and 150/80-16 for the rear wheel. Riders get 12 liters of fuel carrying capacity while dry weight for Speedmaster stays 245.5 kg. When loaded with accessories like huge front windshield and rear backrest, Triumph Speedmaster proves to be the best looking cruiser of its segment, rivaling none other than Indian Scout and Harley Davidson 1200 Custom in most markets. 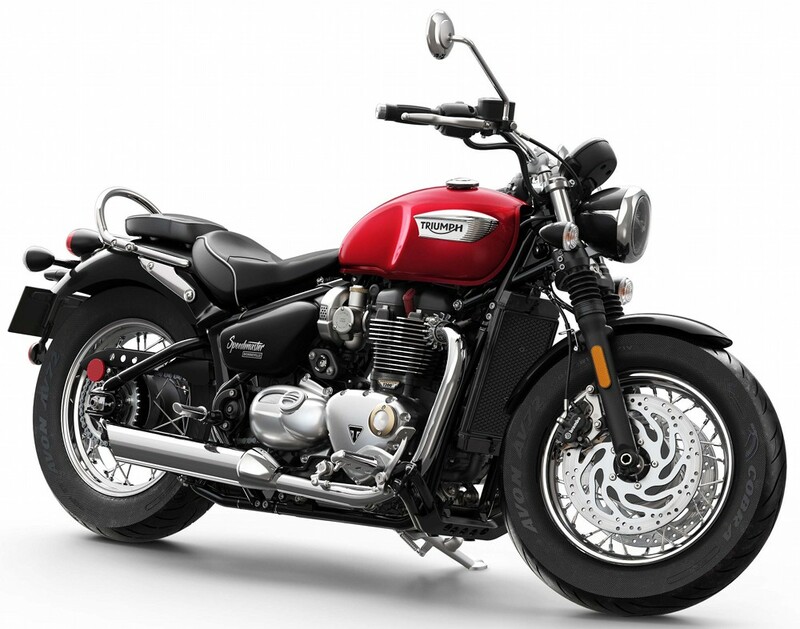 When launched in India, Triumph Bonneville Speedmaster would be priced around INR 10 Lakh (ex-showroom). You May Like: Production Ready Yamaha Fazer 250 Revealed!